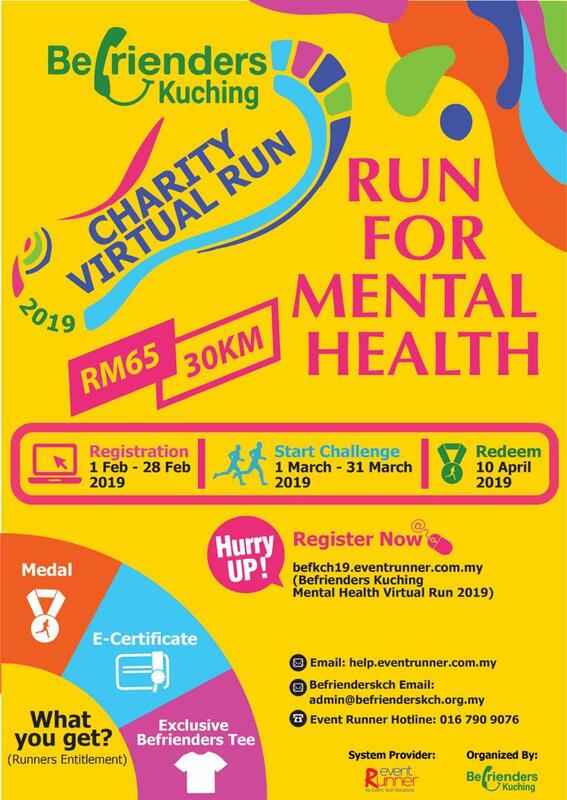 Befrienders Kuching Virtual Run 2019 | JustRunLah! Befrienders is a not-for-profit organisation providing emotional support, to people who are lonely, in distress, in despair, and having suicidal thoughts – without charge. All proceeds from the run will go towards the operations of services.